I’ve got one more public art controversy for you before wrapping up the Art Advocado public art series--and like E Pluribus Unum, this one is still unresolved. 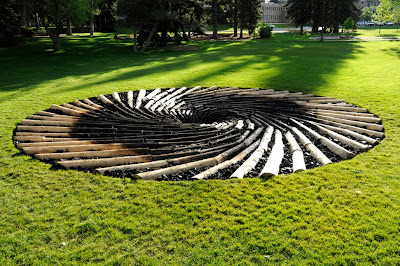 In America's least populous state, a seemingly innocuous work by an English sculptor artist’s work on the University of Wyoming campus has drawn criticism from the state’s powerful coal industry. (As we have learned over the course of the Public Art mini-series, there may be no such thing as innocuous public art.) Read on to find out why the above work has drawn the ire of some very powerful Wyomingians. The problem? this “suggestion” of decay and decomposition is meant to remind the viewer not just of the pine that was killed by beetles, but the global warming caused by the coal industry. Drury told the Casper Star-Tribute that the meaning behind Carbon Sink is based a sad fact that goes a little something like this: coal encourages climate change, an effect of which is warmer winters. Warmer winters allow beetles to live year-round, allowing them to eat pine trees year-round. Connect the dots--coal is the indirect cause of the terrible beetle infestation killing forests in the Rocky Mountains. I find it especially significant that all of the public art controversies I’ve discussed over the last couple weeks were site-specific. Though I’m sure there is great potential for controversy over public art not created with a particular place in mind, what is it about site specific public art that gets people so riled? To me, and probably many other art advocates and public art aficionados, a site-specific public work seems like a gift to the community--something positive that is made extra-special by its specificity to a certain location. But this location-specificity seems to be what also often causes problems for some of these works. Opponents of Tilted Arc simply wanted the sculpture moved off Federal Plaza--not destroyed forever. The Bronx Bronzes are alive in well to day, but in Queens--not the Bronx. Perhaps people only want beauty on their home turf, rather than the challenge of an imposing abstract piece or a reminder of what their neighborhood really looks like (or looked like one hundred years ago). Or does it have to do with the artist? In all of these cases the artist has also been an outsider--in some way, not from the community for whom they are creating their work. John Ahearn lived in the Bronx, but his race made him an outsider when push came to shove. Chris Drury is a Brit creating work for a community that is certainly not his. Can an artist who is not completely integrated in a community create work for that community without ruffling feathers? What do you think about the Carbon Sink kerfuffle? Is the coal industry being needlessly sensitive, or was Drury insensitive to create a work criticizing his patron’s funder? Tell me about it in the comments! P.S. The Carbon Sink controversy, the inaccessible but incredible work of Mel Chin, and my otherwise embarrassingly New York City-centric focus on public art has inspired me to go further afield for my final post of the public art mini-series and look at public art outside the city. 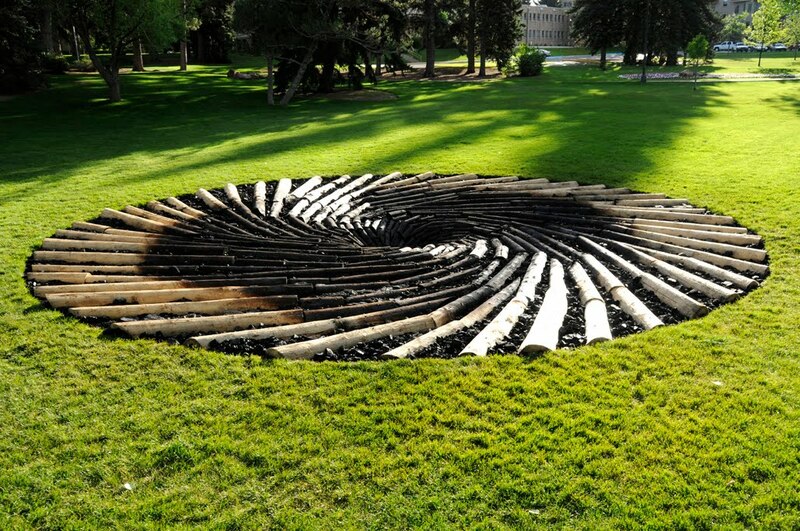 Readers, do you know about examples of public art outside urban areas? Please let me know!